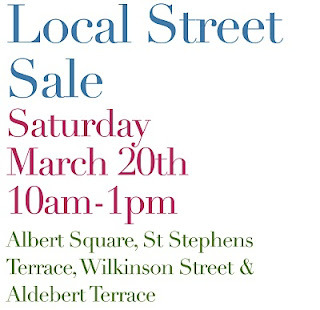 The residents of Albert Square are hosting a 'table top' sale next weekend - Saturday 20th March. The sale will start at 10am and run until around 1pm. The residents of Albert Square, St StephensTerrace, Aldebert Terrace and Wilkinson Street SW8 will be selling or giving away furniture, clothes, toys, books pretty much anything outside the front of our homes. After 1pm a local charity and Lambeth Council will come and collect whatever is left.